One of the many great things about blogging, is getting to try products I likely would never have known about. 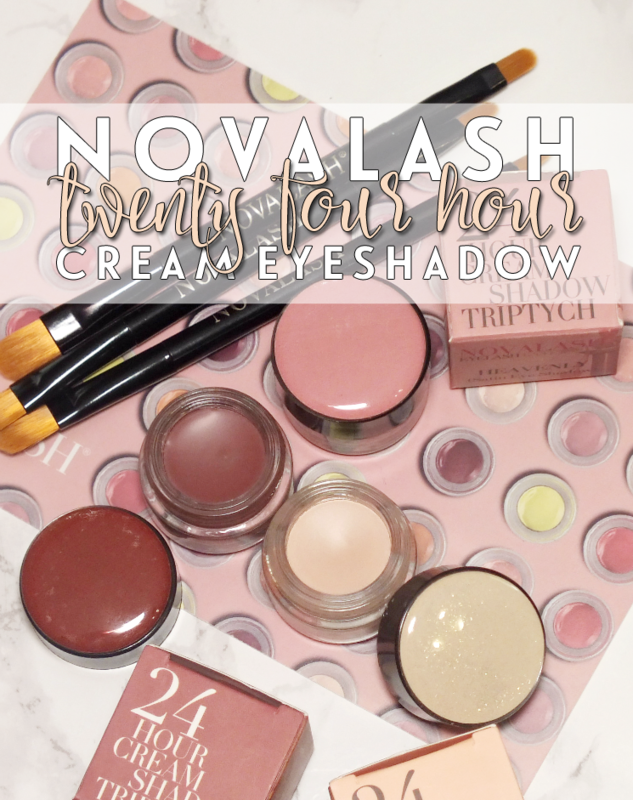 A recent acquisition are the Novalash 24 Hour Cream Eyeshadows. Now, I've used cream eyeshadows before, who hasn't? but these, well, they're in a league of their own. Want to know more? Sure you do. Read on! 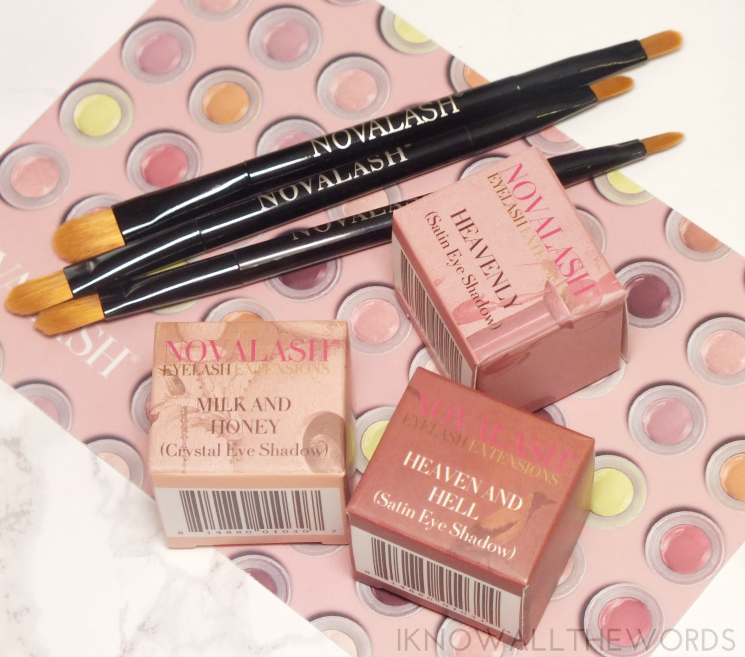 I wasn't familiar with the brand Novalash, but they're lash extensions specialists. 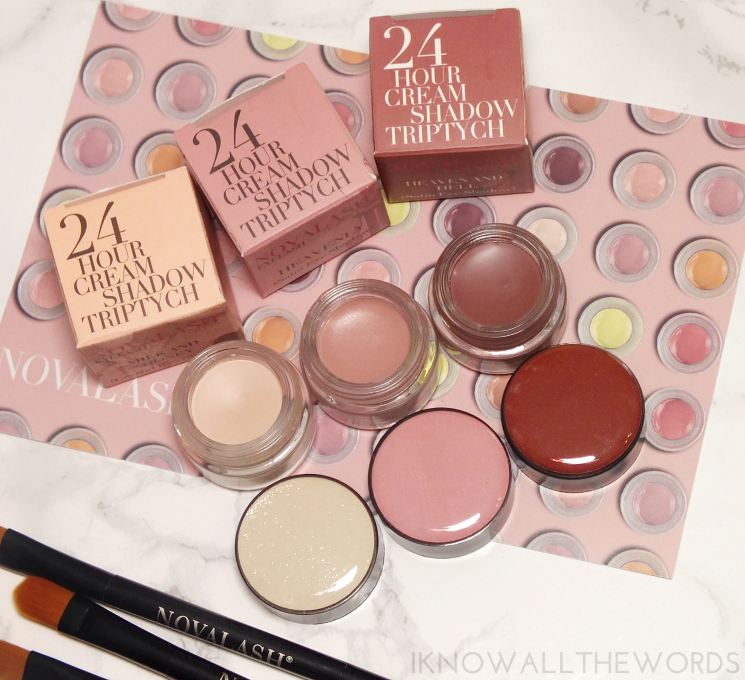 With most of their products being salon exclusive, or for professionals, but they do have a small selection of products including the cream shadows. The shadows are pretty typical looking, housed in small glass pots. They very nicely have domed caps with the shade of the shadow on the caps for easily spying which shade you're looking for. What makes these so different from your average cream shadow is the texture- they're not really creams at all. The formula is more paint like, in that it is a bit wet, and has a thinner feel. I immediately realized why the pots were on the small side, as you only need the smallest amount of product for a fully opaque wash of colour. The shadow takes a moment to dry down, but you have enough time to blend it out, before it sets to a stay all day (no matter what) type of long-wear finish. These wear incredibly well alone or as bases. Of the fifteen shades -with names inspired by Bosch's Garden of Earthy Delights, no less (one of my favourite paintings! )- I've tried Milk and Honey, an off white with fine golden shimmer, Heavenly, a dusty mauve matte, and haven and Hell, a brown-burgundy with the slightest metallic sheen. 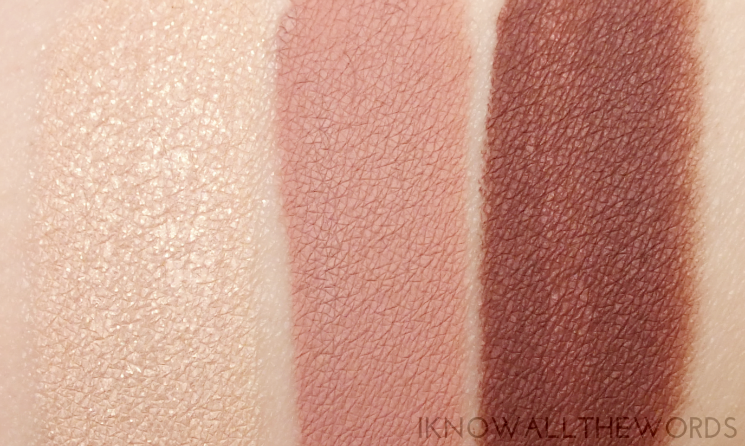 The shades are all incredibly pigmented and just wear so easily. I love that these don't loose pigmentation when blended and that they stay so perfectly. They're really quite incredible. If you couldn't tell, I love these! They're available individually or as sets (triptychs) with three shadows, liner, and brushes, Oh, I almost forgot, these come with their own brush. With each shadow, you get a dual ended brush that works perfectly with the formula. 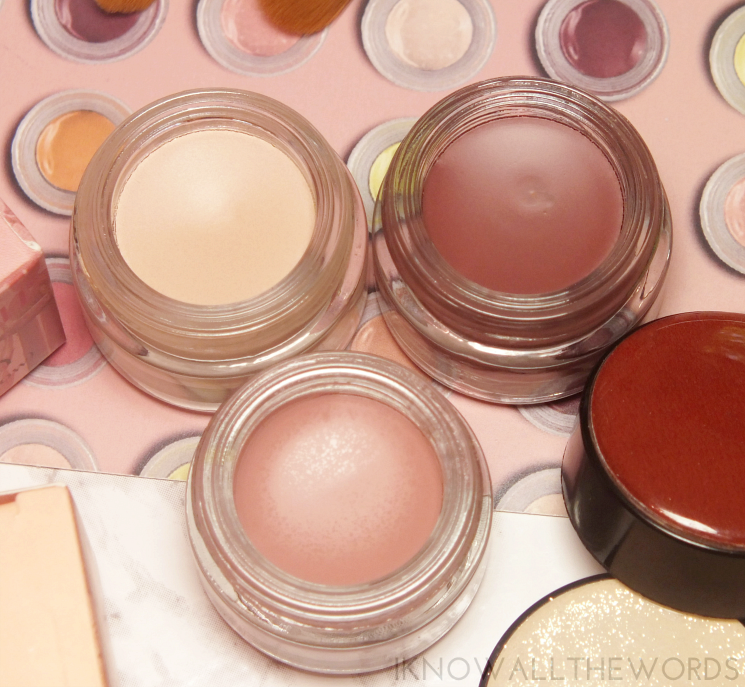 The smaller end is great for lining while the larger spreads product on the lid. These are definitely worth adding to you makeup bag if you haven't already. What do you think? Could you used these?